Functional training is one of the most popular and most misunderstood words in the fitness industry. The idea was great – get people off machines and get them doing something useful for real life and sports. However, with the rise of functional training came many misguided approaches to training that are anything but truly functional. Whether you are an athlete or you just want to look and feel like one, you will waste your time and your money if you fall for these 7 functional training mistakes. Functional training is training in a way that allows you to function better in your life. If your training is improving your ability to play your favorite sports, do the recreation activities love, excel at your work, be ready for emergency situations and do your daily life with ease, then it is functional. If can cannot see real, tangible improvement in your results, then no matter how cool your training looks, it’s not truly functional. Related: Is Your Body Battle Ready? When I first started as a trainer back in the 90’s it meant doing every exercise imaginable lying, kneeling or even standing on a Swiss ball. Since then we had many other unstable surface devices hit the market. 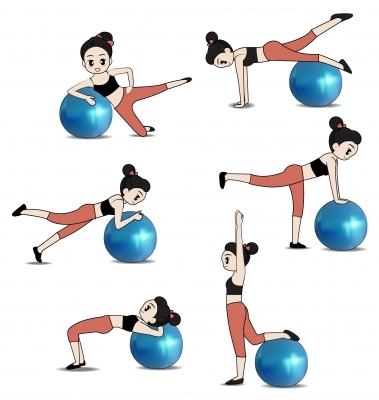 During the 90’s and 2000’s, countless people got on the ball (literally) and started doing their “strength training” on unstable surfaces. On the surface (okay, I’m done with the puns now) unstable surface training has a façade of function. It involves balance and stability which sounds functional – right? However, we forgot that almost all of life happens on a stable surface – not a round inflatable dome. Also, when you add all this extra instability, your body has to over-recruit a bunch of other muscles which prevents you from actually stimulating the ones you were trying to hit. Back in 07 the Journal of Strength & Conditioning Research published a study done by Eric Cressey which compared stable and unstable surface training on athletes. Guess what? Stable surface training improved performance better than unstable surface training. Despite the fact that this research is almost 10 years old, you can still do in gyms today and see people exercising on unstable surfaces. Yes, there is a place for unstable surface training in rehabilitation. 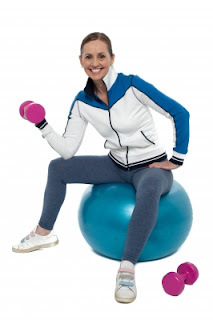 Also, there are a small handful of Swiss ball accessory exercises that can be helpful. However, if you want to work better in the real world, train on the ground, not an unstable surface. The functional training craze made a lot of smart equipment manufactures a lot of money and kept a lot of innocent people weak and dysfunctional. Every time I flip through a fitness equipment catalogue I’m amazed how many silly new toys they are pushing. Most of these are simply a way entertain people while these waste time in the gym. Rather than pick on any particular brand or piece of equipment, I’ll tell you want does work. The most important training tools for functional training are all ones that have stood the test of time and been proven repeatedly to deliver impressive real-world results. All of these are as old a dirt, yet insanely effective if implemented into solid, well-coached program with a little sweat equity. Following the silly equipment craze came the certification craze. It wasn’t enough to just have to buy the product, now you had to get certified to use it. This lead to people turning training tools into training systems. If you are really serious about improving your function, you don’t want to marry yourself to one particular training tool – even if it is one from the list above. Instead recognize that each tool has its own unique advantages and disadvantages. Consider these and pick the best tools to reach your functional training goals. Just because you can do a whole workout with one particular training tool does not mean that you should. The best functional training programs are ones that effectively utilize different training tools based on the needs and goals of the individual. Note: I’m not saying that all equipment certifications are bad. If you want to learn more about how to use a certain piece of equipment (e.g. a kettlebell), then by all means take a course or workshop. If they give you a piece of paper saying you are certified – great. Now, for the record, I believe that single leg training is important for functional training. I also believe that back squats are not the best squatting option for everyone. I have clients and athletes that use a split squat in place of a double-leg squat. However, it is important to remember that the weight room is not a good place to try to mimic a sport. You can always argue against an exercise based on its specificity. For example, even with a Bulgarian Split Squat, I could ask the question, "What sport is played standing still with your back leg up on a bench?" True specific training happens outside the weight room in the actual sporting, working or playing environment. There is plenty of research and real-world evidence to show that 2-leg squats improve performance. Related: Sport-Specific Training? and Double vs Single Leg Squat – The Verdict Is In! Generally speaking, bodybuilding-style training is not very functional (yes, there are physique athletes who can demonstrate impressive athleticism). However, in an attempt to move away from the traditional machine-based, isolation style of training, those training for function often forgot about body composition. In certain sports, a sufficient amount of muscle mass is essential for optimal performance and in some cases (e.g. collision sports) even for safety. Try to get too cute and “functional” with your exercises and you won’t build any muscle. Fat loss is hugely underrated as an athletic performance enhancer. As a strength coach, I’ve seen this many times. When an athlete who is not “athletic lean” cleans up his/her diet, trains hard and gets athletic lean everything gets better. When you lose fat you immediately improve your strength-to-weight ratio. As a result, your speed, vertical jump, agility and conditioning are all positively impacted – if you go about your fat loss training in an athletic way. "Strong people are harder to kill than weak people and more useful in general." How about you? What is your experience with functional training? What have you found to help or hurt your training? I invite you to leave your questions and comments below or on my Facebook page.